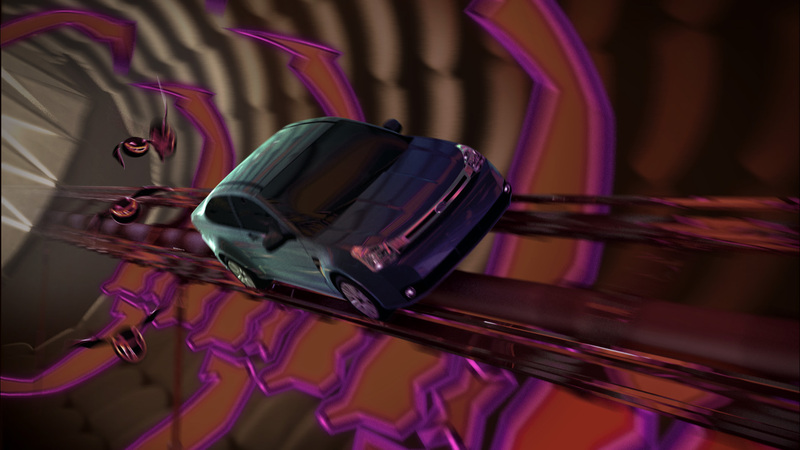 Ford “Thrillride” is the latest spot created at Hatch Studios Ltd., directed by Richard Rosenman and Larissa Ulisko. Inspired by Japanese illustration, this spot relies heavily on seamless integration of cutting edge 3D computer graphics combined with bold 2D character designs, both existing in a lavish and rich multi-media environment. Not only did we wish to create a visually compelling spot, but we also insisted in developing a sub-story involving aggressive & chaotic characters attempting to catch the Ford Focus. This provided a set-up for a wild car chase in which the Focus inevitably out-maneuvers the characters in a climatic and explosive finale. 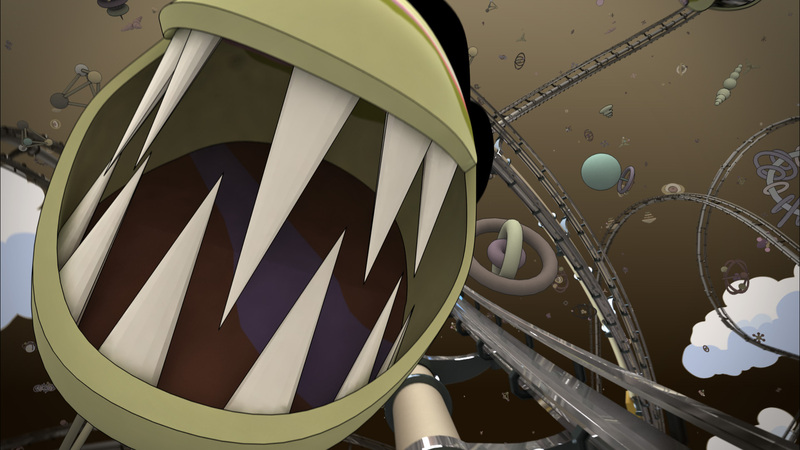 To create the unique visual style of the spot, including the tight integration of 3D and 2D elements living together in one world, all elements had to first be created in 3D. The rendering of the graphic elements was then produced with VRay Toon which allowed fully-raytraced 2D objects to be reflected and interactively-lit with the surrounding 3D objects. In addition, global illumination rendering yielded a distinctive look in which 2D objects retained their flat two-dimensional look, yet fully-interacted with the environmental lighting thus contributing to the global illumination solution. Rarely any blurs were used in this spot as this conflicted with the graphic style so depth of field was simulated through the use of depth desaturation. This spot was modeled using Silo & 3dsmax 9.0. It was animated and textured with 3dsmax 9.0. Rendering with VRay 1.5 RC3, including VRay Toon. Compositing with After Effects and onlined with Inferno.